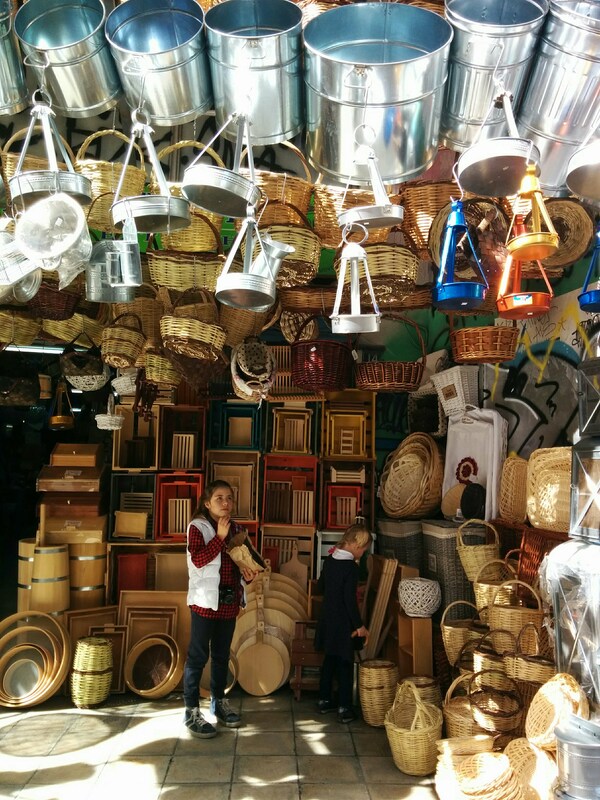 The colors, sounds, and smells of the Greek market were overwhelming. 'Is it still alive?' 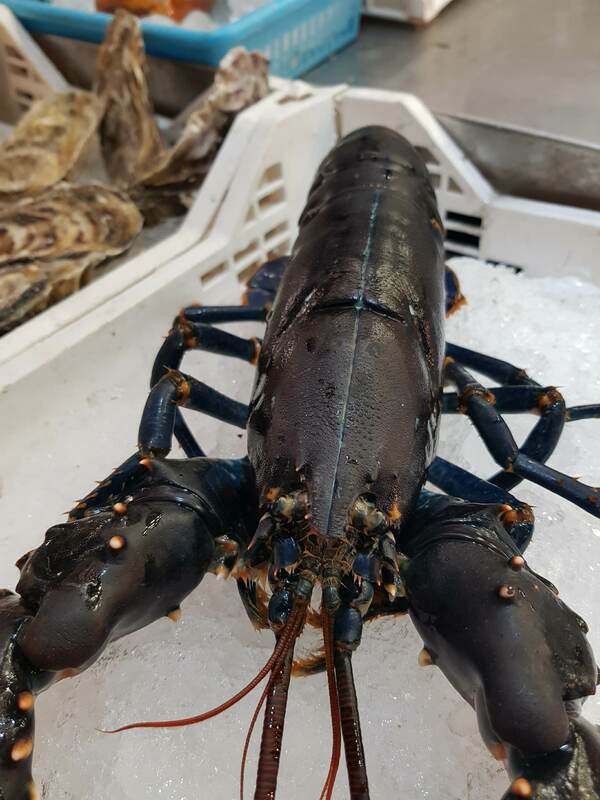 My daughter asked admiring a large lobster at the fish section. We saw fish and octopus, meat and herbs, snails crawling out of their crates...We tried cheese and olives, herbs and sweets and we saw the way they were prepared. This is how you get to understand a country. Not only by visiting archeological sites or museums and queuing at monuments. You get to understand a country by eating its food. And we did a lot of that on a sunny March morning in Athens during a family food tour. 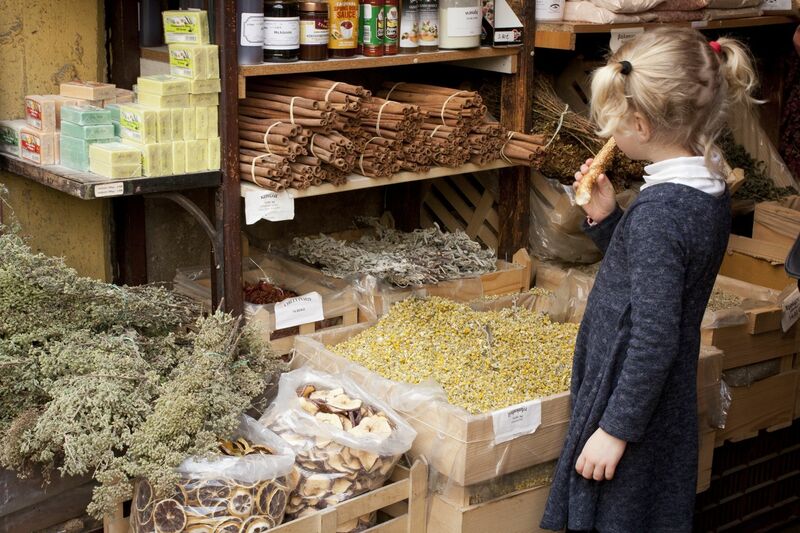 We learned everything about the flavors of our home city, its history, and culture. The tour took us via the famous Acropolis through the beautiful Anafiotika village to the traditional neighborhoods of Monastiraki, Psirri, and the University. We ate koulouri for breakfast in one of the oldest bakeries in Greece and we had a mouth-watering traditional sweet called bougatsa. We passed specialty food and tools shops, delicatessen and spices while eating our sweet. 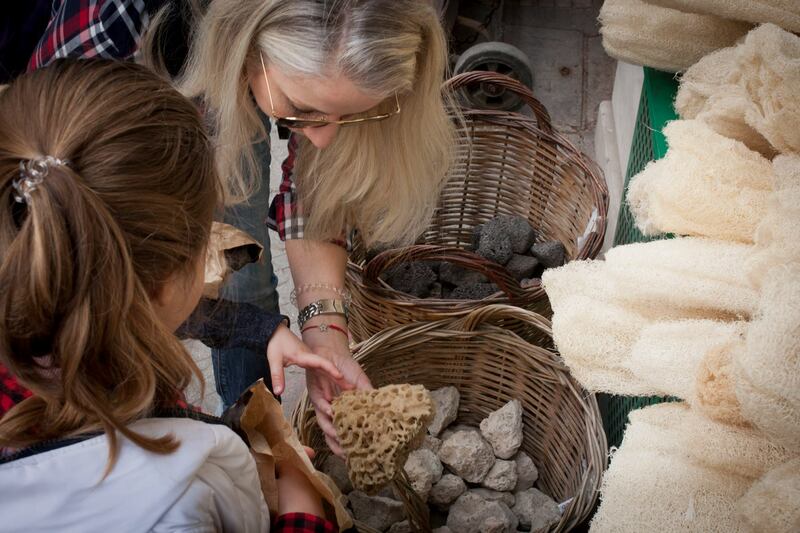 Have you seen natural sponges and did you know some are made of pumpkin?! 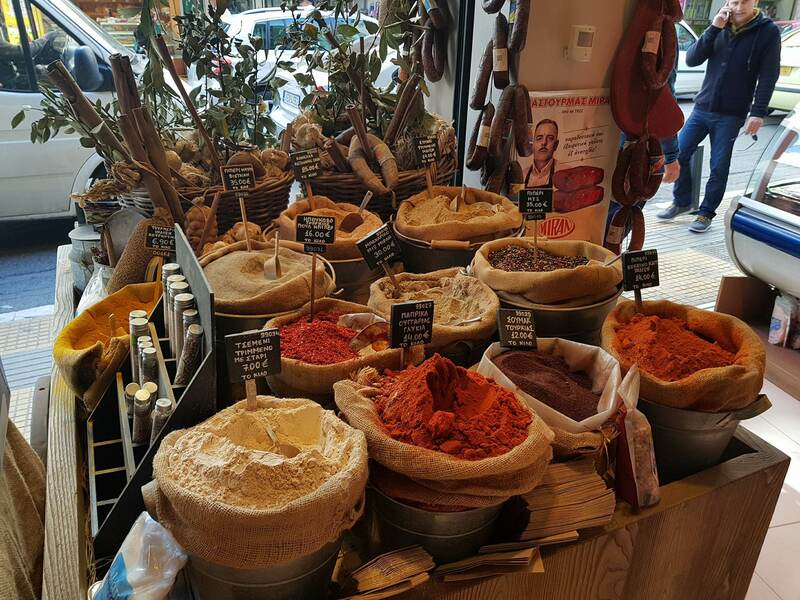 At the central Athenian food market, we tried several kinds of sausages. 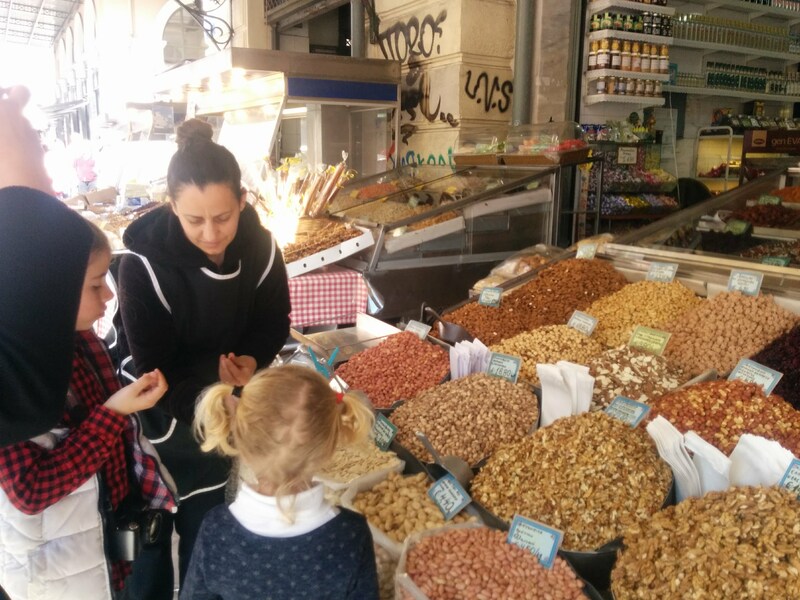 We also admired halvas and tasted Cretan cheese at the market. 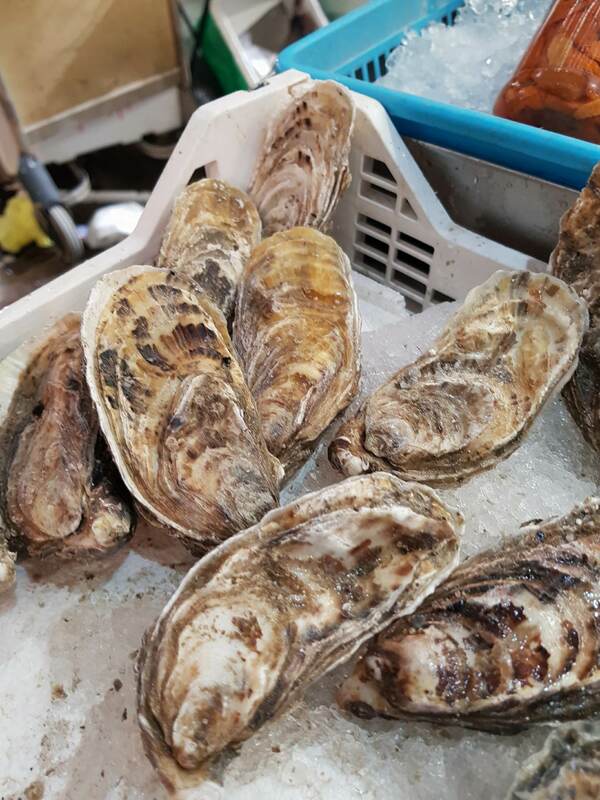 The central food market is a kaleidoscope of colors, smells, tastes, and textures. Produce, spices, meat, and fish all come under one roof here. Learning about Greek culture; Vendors handing out snacks everywhere. 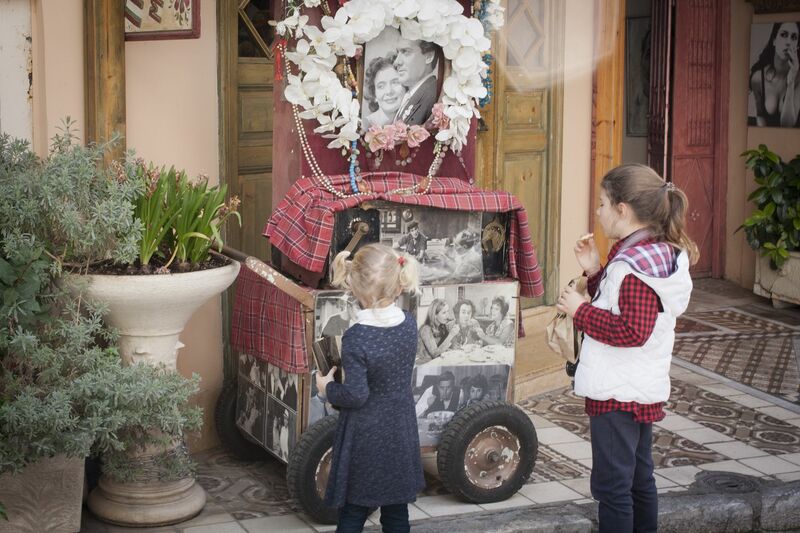 Greeks love kids! 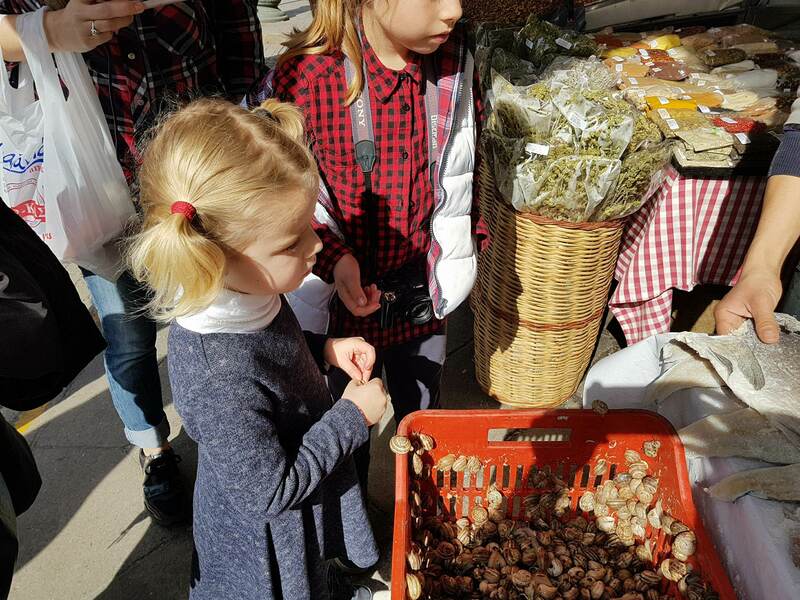 Stalls bursting with color, shapes and crawling snails and the indoor fish section of the bustling central food market of Athens. 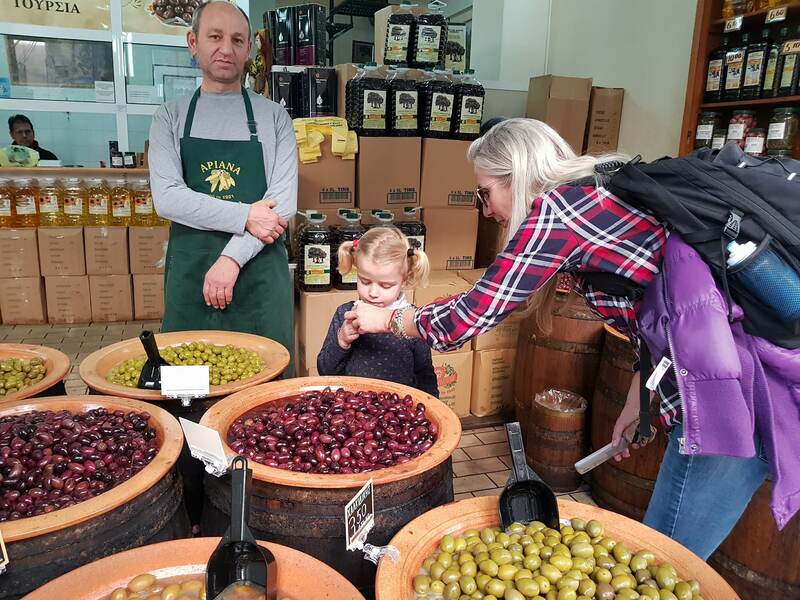 In a hidden neighborhood with specialty shops, we tried more Greek products such as honey and of course the famous Greek olives. 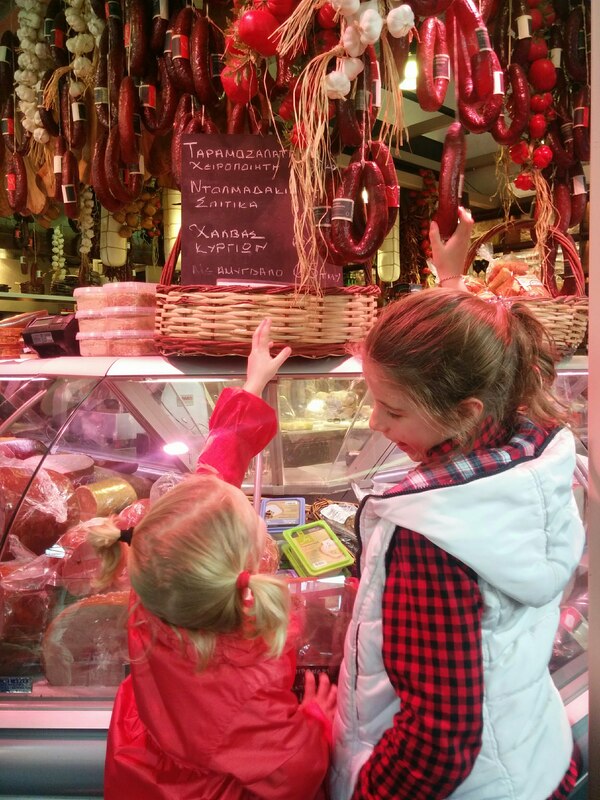 Our family food tour felt like a treasure hunt. 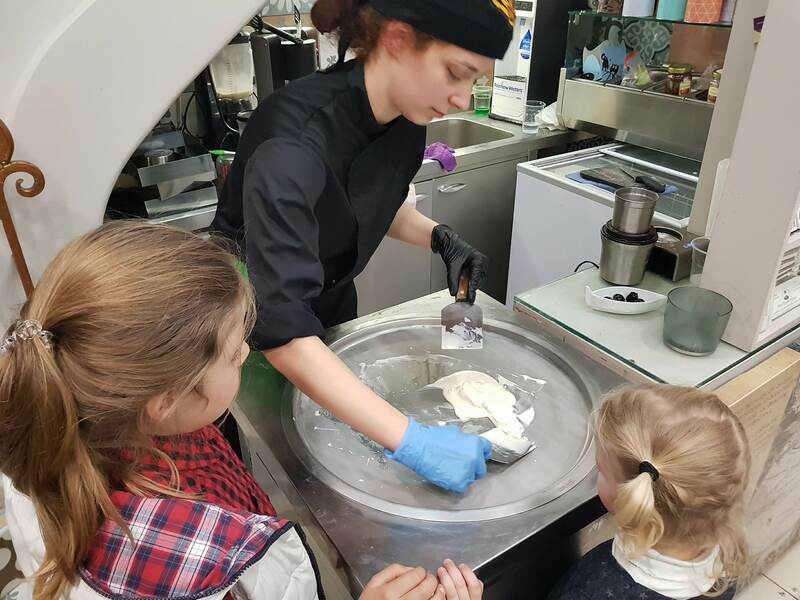 We watched a traditional Greek coffee making ritual in a Greek coffee house and ended our family food tour day in an artisan ice cream shop with the best chocolate and ice cream in town. 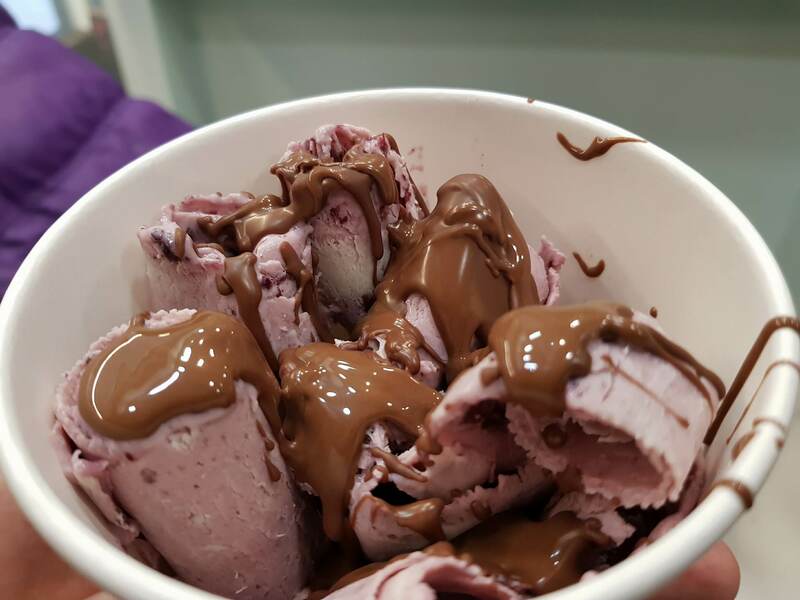 The ice cream is prepared on the spot with goatmilk and real chocolate and fruits by our choice. 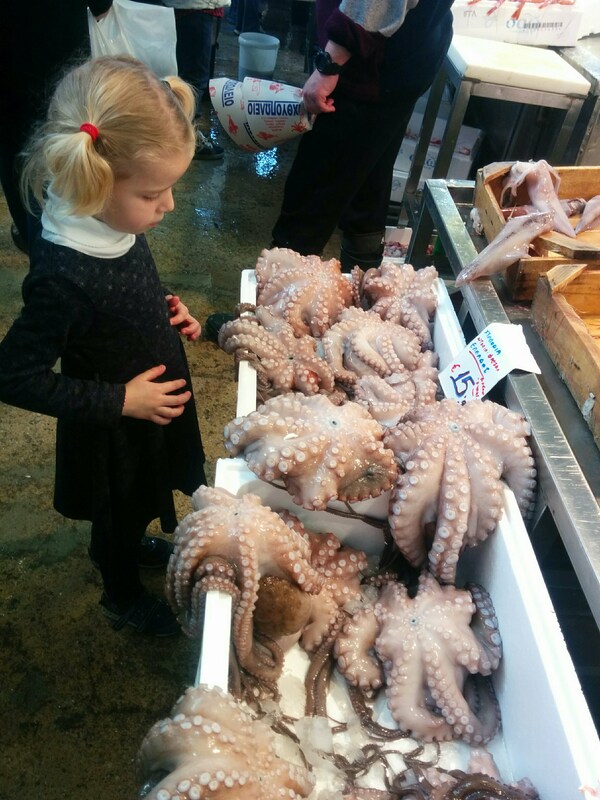 The learning opportunities for kids during a family food tour are endless. 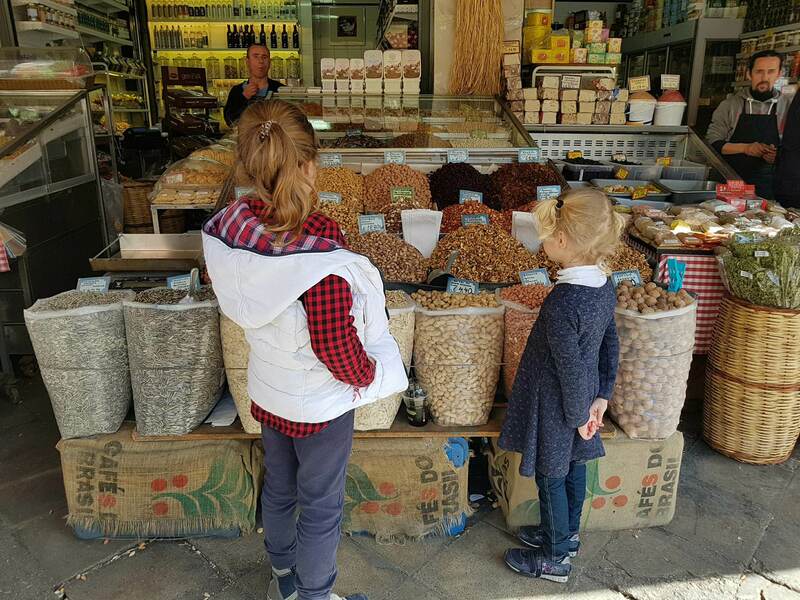 If you are like me and you like food, culture & history and spending time with your kids learning new things; then I recommend you to make a food tour with your family. 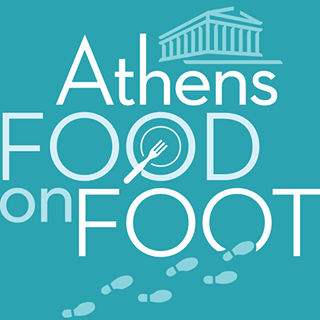 We joined a 3-hour family food tour with Athens Food on Foot. 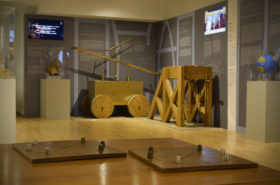 You can find more information and reserve a tour here. 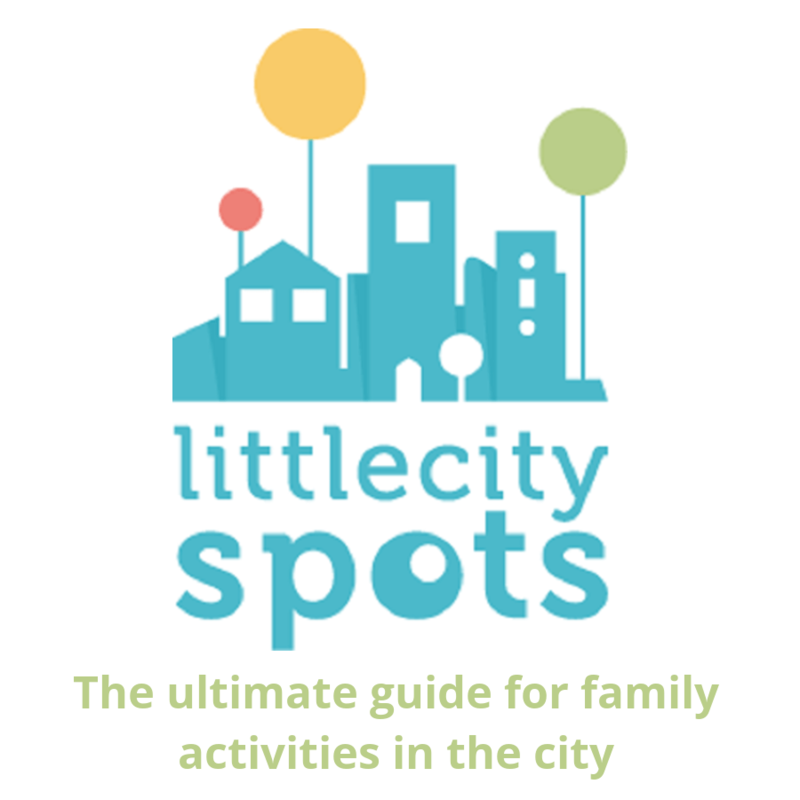 Or check out the latest prices and offers at Get Your Guide. 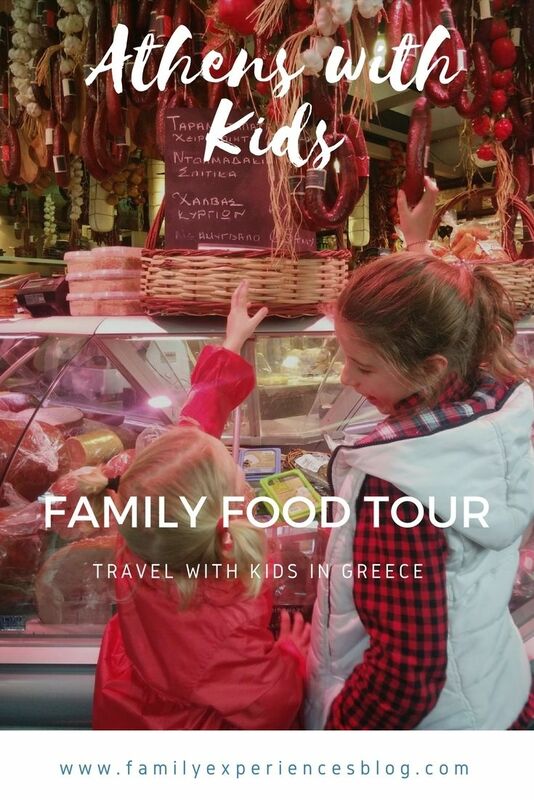 Photo credits: © Family Experiences Blog and © Food Around Athens. Disclaimer: This post contains an affiliate link. This means that should you click on certain links, and then subsequently purchase a product, I will receive a small commission. It costs nothing extra to you but helps keep my site running. Thank you for supporting me in this way.